Tasting Profile / Serving Suggestions: A very nutty flavour that will complement any Asian-inspired dish very well. 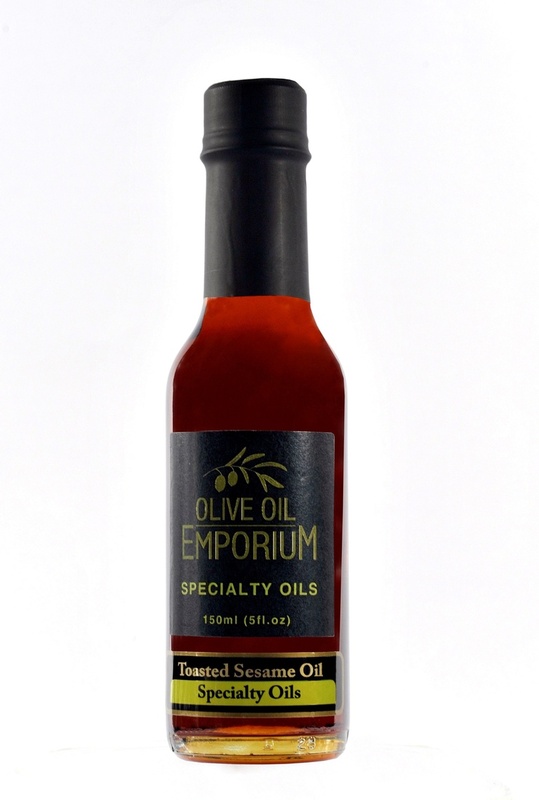 Use in dressings, as a marinade, or to finish off sautéed vegetables. Packaging: Elegantly presented in a clear glass bottle. We recommend you store your sesame oil in a cool, dark, and dry place to preserve its freshness. Refrigeration after opening is recommended. **The above statements have not been evaluated by the Food and Drug Administration. These products are not intended to diagnose, treat, cure, or prevent any disease.